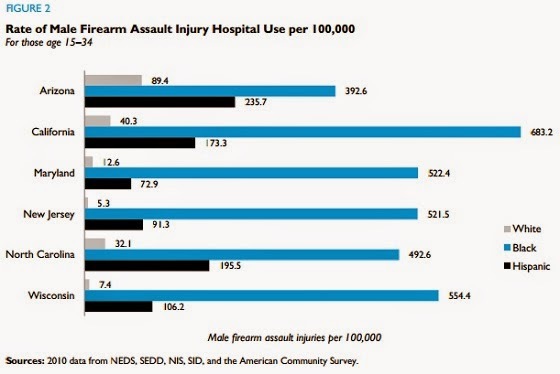 Who gets shot in America? These numbers go a long way toward explaining why we talk about black-on-black crime a lot more than we talk about white-on-white crime, even though most crime for both groups is intraracial. Apparently some Muslim refugees in Italy find pasta offensive. For two days, a group of about 40 asylum-seekers staying at a refugee centre in the Veneto province of Belluno refused to eat the “pasta with tomato sauce, bread and eggs” meals they were given and called to be fed food from their own countries, Libero Quotidiano reported. To reinforce their point, they blocked a street with a wooden bench, put their lunch on the ground along with bags of clothes and threatened to leave the centre in La Secca, a hamlet in Ponte nelle Alpi. They reportedly said “we do not eat this stuff”. Sounds like time for return passage to a place with cuisine more to their liking. "So what is the truth about the Crusades? Scholars are still working some of that out. But much can already be said with certainty. For starters, the Crusades to the East were in every way defensive wars. They were a direct response to Muslim aggression—an attempt to turn back or defend against Muslim conquests of Christian lands." - Thomas F. Madden, historian and author, excerpted from Christianity Today, May 6, 2005. "If we ignore them, I am sure they will reach Europe in a month and America in another month," he said in remarks quoted on Saturday by Asharq al-Awsat daily and Saudi-backed Al-Arabiya television station. The trappings of the game may have changed. But the basic rules and expected outcomes have not. If you think our economy's getting better, there are those far more learned than me who make the case that it's not. President Obama appears to be delaying a proposal to revamp immigration laws until after the elections in November, mindful of the electoral peril for Democratic Senate candidates. A trial balloon was recently floated that Obama wants to unilaterally grant amnesty to five million illegal aliens now living in the U.S. Even if he doesn't do it before the election, it doesn't mean he won't do so immediately afterwards. But how many lo-info voters are smart enough to figure that out? The 2014 midterms are your last ballot opportunity to put limits on the runaway Obama presidency. Full disclosure: I once worked at CNN, but for all but two of my twelve years there, I chose to work as part-time freelance in part to minimize the impact of corporate demands and corporate dependence in my personal life. When working as a freelancer, you know any day you show up for work may be your last. Being a full time employee often brings a sense of permanence or continuity that may not hold up in today's era of corporate whims and other realities. This is true in far more corporate settings than just the one at CNN. Russia makes a move into Ukraine. The Islamic State continues its mass killings in the Middle East. And the Obama administration can't seem to figure out what's going on or what do do about it. But the administration does seem ready and willing to grant amnesty at home to up to five million illegal aliens. Ferguson, Missouri is already fading from memory. For now, anyway. Meanwhile, Americans are both mesmerized and increasingly apprehensive as the domestic stock markets grow ever higher. And there are alarming trends in oil production in international oil production, yet many think oil's price may fall once again. Don and I cover these topics and more in the August 29th Don and Doug webcast. What would a middle class revolt look like? Reporter purged in St Louis? Is a telco land line as robust as it used to be? What countries are at war? Presidents don't get to take vacations. Was rabbi killing a hate crime? ISIS acquires hashtag, targets U.S.
What is ISIS, and how did it come to be? Where's up with Iraq's Russian air force? How bad are things in Chicago? Extremists? Who are the real extremists? Did NBC just go "birther" on us?